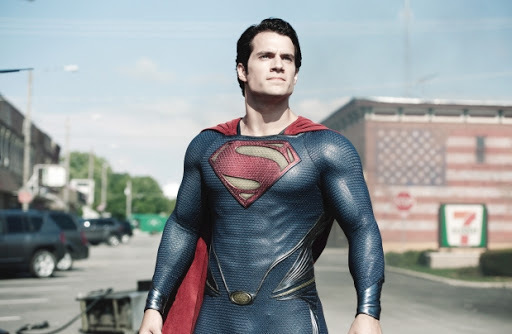 …man of steel in a new Movie edition…! heroes are not a real thing in Canada…! TO FATHER’S DAY CANADA – AND FATHERS THAT ARE DANGEROUS, POLITICALLY OR SOCIALLY VETTED, OR WORSE TO HAVE SOME MENTAL PROBLEM, AND YOU NAME IT, AND NOT WORTH MUCH TO THEIR FAMILY…! TO THE “PERFECT CANADIAN FATHER” THAT I THINK ARE a pack of “spastic” pussies…! WHY NOT TO THE CHILDREN WITHOUT FATHERS OR MOTHERS…! Anyone who’s lived in or even just visited Vancouver is used to that vague — or not-so-vague — sense of déjà vu when the latest summer blockbuster rolls around featuring telling shots of the city. From Tron to the X-Men franchise to Mission Impossible, Vancouver has been the stand-in for many imaginary and existing metropolises. Whether it’s the Lions Gate Bridge collapsing in Final Destination 5 or the Sheraton Wall Centre launching winged mutants in X-Men, Vancouver is often front and centre on the big screen. So what gives that when it came to casting the real Metropolis in the new Superman offering, Man of Steel, we failed to make the cut? Should we be offended? Perhaps even doubly so by the fact most of the movie was shot in studios in Metro Vancouver? Burnaby’s Mammoth Studios was transformed into Superman’s home planet of Krypton and myriad extraterrestrial aircraft. …Vancouver, B.C. Canada, is used big time for Movie Studios Casts…! …This time metropolis Vancouver scenes was obviated…! I LOVE CANADA IN MANY WAYS, FROM THE SAFETY AND SECURITY, TRANQUILITY, TO nice Ambients…! I fail to love Canada and/or Vancouver, because of issues behind the scenes…! I fail to love Canada, because they do not believe in all the Heroes, and do not have one that I may know of, which I loved and love since I was a Cartoon reading kid…! I fail to love Canada, because they do not believe in the military power of U.S.A., and think diplomacy is more powerful…! CANADA COULD VERY WELL prefer to have HAVE these heroes: “Jesus”, “Buddha”, “The three armed East Indian God”, “Allah” or at the best, “SANTA ‘CLAUS’…” and his “flying” rain-deers and sleigh…! Which I do not share much with or about…! AS TO COPYRIGHT AND CREATIVITY, Americanos really legally do not understand nor know much about…! WHO FLEW FIRST ? A bird or Superman or Santa Claus or Jesus or the Celestial beings…??? IN LEGALITY OF CREATIVITY, IT DOES NOT MATTER…! IN PURE LOGIC, WE CANNOT DEPEND ON OTHERS TO BE THE SOLE LEADERS OF MILITARY POWER…! OTHERS COULD TURN AROUND ON US…! ← …google uncabled 3G balloon internet, and…!